The copper beech tree (Fagus sylvatica) is also known as the European beech or common beech tree. It was originally native to Central Europe. It is United States Department of Agriculture hardy in Hardiness Zones 4 to 7. It is a deciduous tree that can grow 50 to 60 feet tall. In the summer the leaves are dark green with a tint of red. In the fall they turn a reddish-bronze color. 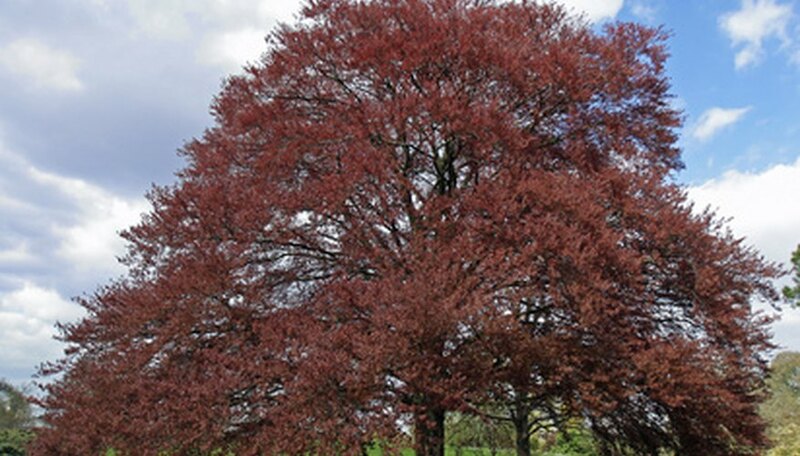 The copper beech tree can become susceptible to some diseases. 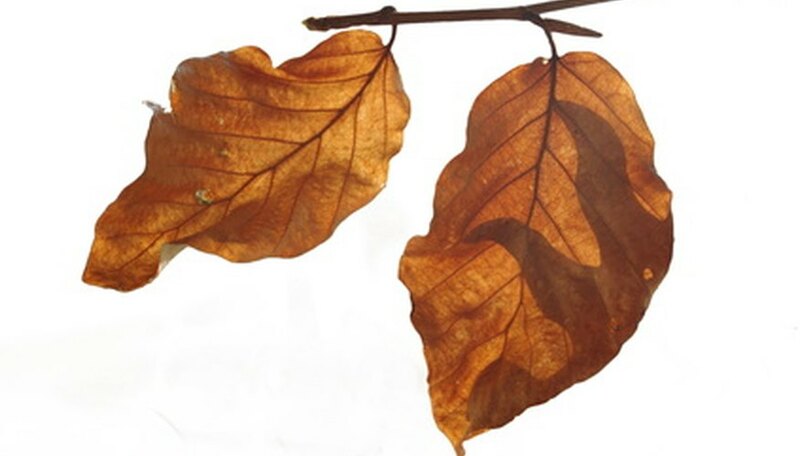 Beech scale is an insect that feeds on American and European beech trees. They stick their piercing mouthparts into the bark and stay there for the rest of its life. This continual feeding stresses a tree, especially during drought conditions. The beech scales continually remove their mouths and reinsert into the tree causing the tree to become vulnerable to fungi as well. The beech scale and the fungi together cause beech bark disease. 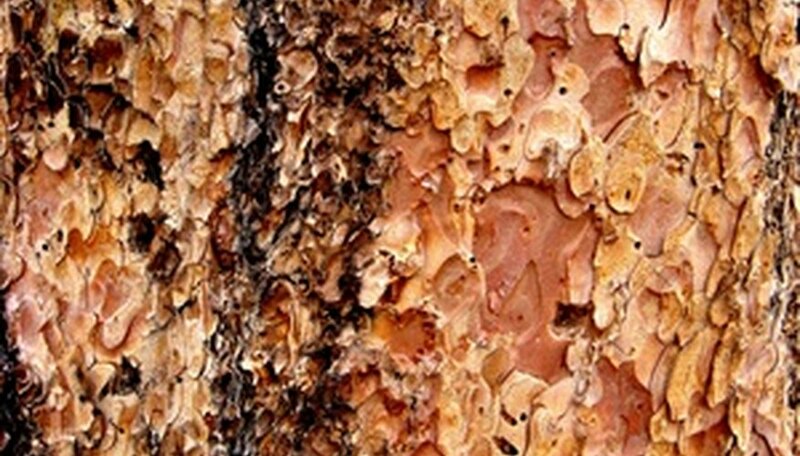 The symptoms include a split in the bark called a fissure. This hole or wound, once established, help the fungus spread throughout the bark tissue. As the infected areas enlarge, the tree is eventually strapped, resulting in a decrease in photosynthesis. This eventually causes the tree to die. The best way to protect a beech tree is through early detection and timely treatment. In landscape areas insecticidal soaps and horticultural oil sprays should be used June through November when the scale is crawling around. In comparison to insecticides, horticultural oil sprays and insecticidal soaps have less harmful effects in the environment. Complete coverage is needed for ensured control. In two weeks evaluation should be done to determine if a second spray is needed. Powdery Mildew is a disease caused by fungi affecting stems, leaves, buds and flowers on ornamental plants and shade trees. The fungus grows as a white to light-gray colored powder on leaves and branches. The affected leaves will be smaller, curled and deformed. The white powder are the asexual spores of the fungus. They can be spread by wind to other parts of the same tree or to other trees. The fungi begin sexual reproduction in the fall in the form of tiny black spots on the affected leaves or tree. They can survive the winter and start all over again in the spring. On trees, the fungi cause little damage and no control measurements are needed.